BUFFALO -- A victim of a Monday evening shooting on the I-190 has died of his injuries, according to New York State Police. 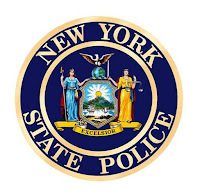 The shooting, which occurred at approximately 6:15 p.m., remains under investigation by NYSP, who say that the initial investigation has revealed the victim was traveling north on I-190 near Niagara Street in a red Honda sedan, when a second vehicle fired shots into the victim’s vehicle. The victim was transported to Erie County Medical Center where he succumbed to his gunshot injuries. The victim's identity is being withheld at this time. Anyone that may have any information or witnessed anything in the area at that time is asked to called SP Batavia at 585-344-6200.